The assistance of parent volunteers is vital to the success of our efforts to achieve our mission at St. Charles Borromeo Catholic School. A key component in implementing our mission is to offer programs, events and opportunities to enhance the overall school experience for our students. The P.A.W.S. Program was created to ensure adequate volunteer coverage, to effectively utilize our community’s talents, and to track service hours for each family. 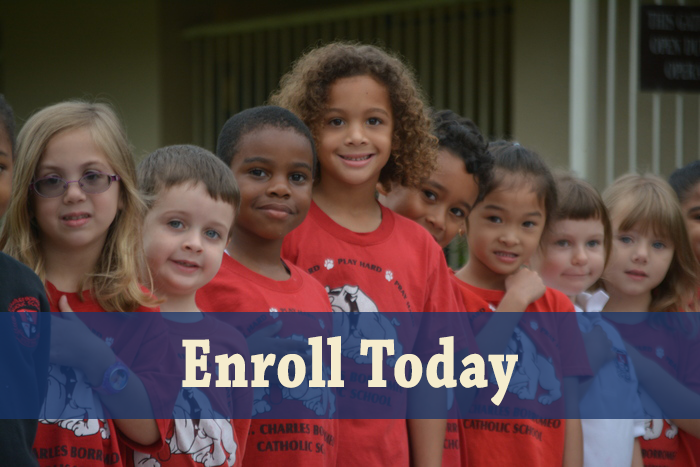 A mandatory service hour program, P.A.W.S., has been instituted at St. Charles Borromeo Catholic School in Orlando. Parent volunteers must sign in at School Office. Each family will be responsible for 20 hours of service per year. Families that do not satisfy this requirement may be given a lower priority acceptance rate the following school year. Twenty (20) hours of service per family are required each school year. Each family will be asked to sign a commitment agreement at the time of registration declaring their intention to fulfill P.A.W.S. hours. Our goal for the P.A.W.S. Program is to increase family involvement.